When talking about the media representation of the 2003 war in Iraq, two terms are heavily used: manipulation and authenticity. Manipulation is often brought up in relation to the topic of television news coverage; several texts in media and communication studies show how the US military controlled media in order to establish a “presentable” image of war. The term authenticity, however, is often used for describing the specific quality of those pictures of war that through their online circulation embody the possibilities of digital communication: pictures taken by soldiers themselves with mobile phone cameras and camcorders, producing an enormous amount of images which are then spread via the Internet. These pictures promise to show what is missing in the TV news: combat action, improvised explosive device explosions and dead bodies. They are considered to be true and pure since they seem to show unstaged, real events. The fiction films about the war in Iraq invariably pick up the aesthetics of these pictures in one way or another, as seen in The Valley of Elah (Paul Haggis, 2007), Redacted (Brian DePalma, 2007), The Hurt Locker (Kathryn Bigelow, 2008) or Green Zone (Paul Greengrass, 2010). It seems a logical conclusion to say that the movies actually use these aesthetics to gain an impression of authenticity, incorporating the look of online images as a style to share in this authenticity. It can also be assumed that we, the viewers, trust in this kind of authentication: even fictional films like The Hurt Locker are praised for providing a very authentic picture of war. This correlation leads to several questions. Does this mean the fictional depictions of war in Hollywood films are more authentic than the news reports on TV? Do they provide a more authentic view on historical events? In order to deal with these questions, one could examine what kind of authenticity comes into effect here. But that would reinforce the contradiction inside which the discussion about media representation of war seems to be trapped: between the demand for authentic images on the one hand and the accusation of manipulation on the other. This contradiction derives from the idea that media representation should be able to represent the reality of war as it really is, in an objective manner that is not influenced by strategies of staging, and that there is an objective truth about war that only needs to be revealed. But what should a “real” image of war look like, why do such images not appear in TV news coverage and what role does the fictional genre cinema thus play? In our view, what needs to be examined here is not as much the question how authentic images of war should look like in reference to an empirical reality, but how we are able to picture the war in the first place, and how to give war an image that makes it visible and tangible to us. That is, the reality of war is only graspable through the mediated experience of war. There is neither a “real” war out there nor the “right” way to represent it through media or to depict its truth. Rather, there are different modes of aesthetic construction and perception that are necessary to make war visible and palpable to us, to shape our attitude towards war as a historical event and to make moral judgments about it. In this paper, we want to argue that war as a historical event emerges as specific modes of aesthetic experience that are generated and shaped by audiovisual media. These modes of experience are culturally and aesthetically formed and hence historically contingent. We would like to show how these modes of experience are shaped and how different types of audiovisual media interact in this process. In order to achieve this, we will provide an analysis of the documentary The War Tapes (Deborah Scranton, 2006), a film that has been praised with showing the most authentic picture of war. Drawing on an analytical concept developed with regard to the fictional Hollywood war film, we would like to show how even in documentary films the aesthetic modes and poetics of affect of the war film genre loom large, interact with new forms of media imagery (like mobile phone videos) and thus profoundly structure the viewer’s experience of war. The War Tapes already drew a lot of attention from the circumstances of its genesis: all footage was filmed by soldiers themselves. 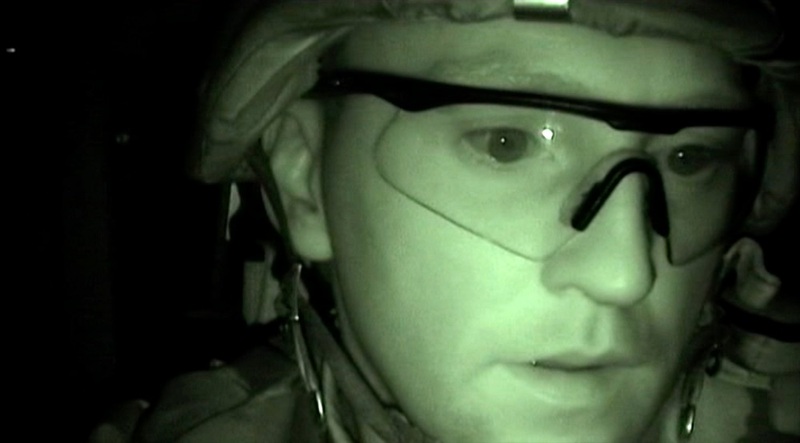 Twenty-one soldiers in total were equipped with MiniDV cameras, five of them filmed during the entire year of their mission. A whole movie filmed through the eyes of soldiers, this shaky, right in the middle of the action camcorder aesthetic that has become so characteristic for the imagery of this war made the movie appreciated by the public especially for being “deeply authentic”. Our assumption, however, is, that it is not the authenticity of the immediate documentation of real events which constitutes the specificity of this movie. Rather it is the way in which the film organises this material. Its dramaturgy does not provide a chronology of real events or a true image of war, but a compositional unfolding of very subjective and sensual-affective modes of experience. From the beginning to the end this film is structured in its very own logic, which is, drawing on our central assumption, highly geared to patterns of staging and poetics of affect of the fictional war film genre. Our description of the Hollywood war film stems from an understanding of genre developed by Hermann Kappelhoff that is based on a comprehension of cinematic forms as part of a communicative economics of affect. Behind this stands the assumption that a film genre is not only about subject matters or certain ways of organizing narrative events. “War” in the war film genre is more than a subject matter, it is a complex melange of culturally and historically shaped visual forms, affective experiences, and collective memories and myths. The war films are related to the audience’s knowledge of war; their viewers become familiar with images of loss, death and survival by more than just reference. The Hollywood war film genre modulates the audience’s emotional sensations between thrilling stimulation and horror, guilt and mourning, and vulnerability and ‘shock and awe’. The genre is hence better described as a dynamic system that addresses, shapes and differentiates emotional experience through formal staging patterns. Within processes of aesthetic perception the film’s poetics unfold as movements of affect which the viewer experiences as his or her own emotionality. Thus the films function as interventions in a mediated economy of affect in which the integration of the individual subject into communal life is negotiated again and again. We understand these films as a media practice in which a society addresses itself as a political community. Their poetics of affect–their aesthetic constructions triggering specific modes of viewer experience–thus provide an interface between abstract political conditions and individual self-perception. Referring to these understandings, and drawing on Christine Gledhill’s “concept of modality”, our comprehension of genre is one that cannot be thought of beyond a genre system – a dynamic ensemble of forms and functionalities of expression that merge into different genres, as well as other forms of audiovisual articulation, as historically variable modes of staging and representation. These modes are not at all discrete entities but heavily related to one another and exposed to a constant mutual permeation–this becomes very clear in case of the war film, with its intertwined modalities of horror, thrill, action, etc. These “modalities of experience” gain shape through the films’ formal staging patterns, their orchestration and unfolding throughout the process of perception: camera movements and perspectives, rhythms of montage, lighting, sound, character movements, gestures, etc. all interact and structure the spectator’s perceptive, affective and cognitive operations. Hence, these specifically formed modalities of experience are the sphere in which the individual spectator’s sensations and feelings are connected to and integrated into abstract cultural and political processes. In this way a genre system constitutes a sphere of social communication in which events of social reality become accessible and are transformed as aesthetic experiences of cohabitation. The specific configurations of these aesthetic modes are historically contingent, dynamic and constantly changing; hence, analysing their very concrete appearances within particular films provides the key to examining the films’ and the genres’ cultural significance in a historical perspective. In light of these ideas, the central questions brought to films are: How do they address their spectators? Alongside this, which staging strategies can be found and how do these strategies elicit and modulate the viewers’ perception and emotions? The aim is to describe the audiovisual orchestration of a film and its entanglement with affective moods embodied by a spectator subject as a specific poetics of affect. Accordingly, to establish a historical perspective, the cinematic forms of expression are not primarily brought into relation to a prior historical reality (the depiction of historical wartime events) but with how they situate the spectator within a shared world of sentiment, a sense of belonging to a common world of aesthetic, emotional and moral judgment. This situating has then to be examined as itself historically significant. According to Kappelhoff’s concept, we assume that the modalities of experience that constitute the poetics of affect of the war film genre can be differentiated into a set of eight scene categories that can be identified within almost every Hollywood war film and of which each can be assigned to distinct realms of affect. They were developed from the classic war or combat film and are called pathos scenes. Besides their affective qualities which, as we will see, can often be situated in-between opposing poles of emotional conditions, they are determined by specific narrative constellations and aesthetic strategies. By dissecting their re-groupings and modifications one can pursue the historical, socio-political and media shifts from the origins of the genre to the Vietnam war film and contemporary movies about the conflicts in the Middle East. The affective potential of this category accrues primarily from the cinematic staging of moments of loss concerning aspects and elements of civilian society, and moments of merging into a new community. Thus, these scenes mark the transition of the soldiers between the two social systems of the quotidian sociality of civilian life and the military sociality due to the state of emergency that is war. They specifically portray aspects and processes of transition, variations and modifications of civilian sociality with the goal of establishing a military sociality. Recurring motifs are rituals of transition, processes of immediate replacement, the segregation of the sexes, and the establishing of paternal structures in the military community. The affective potential of this pathos category is situated between experiences of loss of the self and the experience of an ego-dissolution, meaning the liquidation of the boundaries of individual potential in a larger group body. Orchestrating the relationship of the individual to the military body, these scenes emphasize the physicality of individual corporeality and its merging and absorption into a physically staged group body. A central motif is the military drill, a typical aspect with regard to visual compositions of the geometric figuration of the group body. The affective dimension of this pathos category stems from the cinematic concept behind classic horror films. It evokes the eerie uncertainty about that which one sees or hears, the fear of being abandoned, of losing one’s bodily self and one’s identity in chaos. On the level of plot and action, these scenes depict the battle against nature. This battle replaces the battle against the enemy and acts as a form of the experience of this battle. The scenes arise out of constellations offered by army formations and the natural hurdles which repeatedly need to be overcome and provide cover for the enemy, as well as out of signs of death and exhaustion that nature inscribes in the individual body. The affective dimension of this pathos category stems from the illusion of merging with military weapons technology in combat and the possibilities of cinematographic action modes as an image of a triumphant desire for fusion. The cinematic staging of these scenes revolves, on the one hand, around the merging of human bodies and machines, on the other around the special relationship between weapons and cinematic technology. In the first case the use of weapons is staged as the experience of technology as a body that has become infinitely powerful. This goes hand in hand with the dissolution of the individual body and its integration into the group body. At the fore of the latter is a specific form of viewing pleasure, which allows the spectator to experience and enter the perceptual and affective/emotional space of a cinematic battle without being harmed. Everyday perception is expanded by the technological capabilities of cinema. This pathos category focuses on processes of withdrawing from the social foundation of military order and returning to civilian life. Therefore, it often features modes of memory and references to something that is remembered. In a first variation, the mode of memory is established by the presence of absent characteristics, moments and characters from pre-war daily life. Often there are media-related reminders of civilian society within the film—for example photographs or music on the radio—that trigger memories of home within military order. The second variation portrays the completed withdrawal from military order—the return to civilian sociality. Here it is predominantly the military sociality in states of emergency that is remembered. The affective potential of these scenes arises either from a desire for civilian sociality or is characterized through the experience of exhaustion caused by the remembrance of war. The crucial affective dimension of this pathos category is embedded in the sensorial experience of physical pain, vulnerability and dying. The inside view of an indissoluble, irreconcilable experience of suffering thereby characterizes the central pathos of American war films. Through different constellations and modes of cinematic staging the motif of suffering can appear in three variations: the victim, the sacrifice, and the scene of suffering. The victim scenes are about the realization of vulnerability and mortality. The victim’s image is usually staged as an unexpected moment of death. During the sacrifice scenes the soldier’s death is cinematically connected to a greater cause such as the army or the nation. The self-sacrifice of the soldier is portrayed as a heroic death—often this death and the subsequent funeral are staged as the renewal of the community.The scenes of suffering focus on the suffering individual who experiences himself or herself as a vulnerable and mortal body. The point of culmination is the apotheosis of the individual (deification). On the one hand, the affective dimension of this pathos category contains rage as the transformation of moral judgement into bodily desire and the delight in the corporeal. This desire culminates in fury, rebellion and explosive rage. Its personification is the figure of the berserker. On the other hand, the scenes contain feelings of guilt as a consequence of the shared responsibility of the individual soldier for the suffering inflicted upon others by the military/group and/or the emphasis on national/collective responsibility. The cinematic staging of these figurations captures the individual experience of identity as a moral relationship to the societal forms of the military and the nation in a specific emotional sensation. At first sight, these scenes are defined simply by the use and integration of documentary material into cinematically staged events. This includes footage of real battles and images of the dead and injured after the battle, as well as that of rituals of military life. But these scenes do not simply counter the fictional mode with one of factuality or authenticity. Rather, the cinematic events are referenced to the documentary images; the latter become fictionally charged—whereby the difference between the kinds of footage is not negated. Thus both documentary and fictional footage—edited into a dense visual memory—aim at the corporeal presence of the viewers who are given a relationship to the historical events by this documentary footage. The aim is an emotional participation in exactly these documentary images. This takes place in the mode of remembrance, promoting a sense of community that develops through the cinematic staging of a shared memory. In their successive order and their combinations and overlappings throughout the course of particular films, these eight categories of pathos generate the films’ poetics of affect as a specific dramaturgical structure. The following diagram shows their arrangement over the course of the war film Gung Ho! (Ray Enright, 1943). This structure can be described as a sort of basic or original scheme, typical for the first classic war films. Throughout history, these arrangements are constantly altered in specific ways. This systematic approach to the genre makes it able to analyse the films on two different levels: first, on the level of their macro structure, i.e. how they arrange the pathos scenes over the course of the whole film, and second on the level of their micro structure, i.e. how they concretely realise the particular categories through their strategies of staging in discrete scenes. Furthermore, this method of analysis provides the possibility to examine the war films in a historical perspective: by comparative investigations, it shows how the affective structures and realisations of the pathos categories are altered and transformed over the course of time, i.e. how the films address viewers’ experience and emotions in historically significant ways. Although it was developed with close analysis of the fictional war film genre, it is crucial to the concept that these poetics of affect are highly related to other media formats. The ongoing transformations that the genre’s poetics undergo are driven by the constant exchange with audiovisual depictions of war in other formats, like news coverage, documentary, or YouTube videos. New forms of media technology provide new ways of expression, new ways of picturing and perceiving, of seeing, hearing and feeling the war. Through this exchange, the genre’s specific modalities of experience are altered and reformulated constantly, circulating throughout different types of media. In case of the 2003 war in Iraq, contemporary media representation was determined by an increased and dynamic emergence of new media types and audiovisual forms. As mentioned above, the possibilities of digital recording through mobile phone cameras and camcorders as well as the Internet presentation of these audiovisual material, had a huge impact on this war’s media appearance. In order to investigate how these new forms interact with the war film genre’s poetics of affect, we should first take a look at these pictures, especially with regard to their affective qualities and the modalities of experience they provide. These images function in a specific mode of temporality and directness: we are not so much attracted to them because of the fact that they show real events, but because there is a certain expectation of thrill and monstrosity. When clicking the button to watch these videos on YouTube, we have the expectation that they will make an impact visible or show the moment of explosion or death. This mode of anticipation is part of these images from the very beginning and charges them with a diffuse affective quality, one that is situated on the thin line between fascination and anxiety. It is both rooted in our familiarity with media practices, like using YouTube in order to find images of war, and also in the video’s formal features: the shaky movements, the low quality, the tinny sounds and arbitrary voices and off comments. The dominant mode of these images is an intrinsic subjective one: the setting and the shaky movements demonstrate that there is someone holding the camera, that we are with someone and are sharing his or her view. At the same time, we barely ever know who this person is and where and what exactly we are seeing. These pictures provide a subjectivity that potentially everyone who watches them can take on as his or her own, and that at the same time is shared by many individuals. It is this affective quality which is subsequently assimilated and shaped into patterns of pathos by the war films as well as by other forms of media. Thereby, the core interest does not lie in establishing a reference to an empirical reality of war or history, but to the aesthetic possibilities that make war perceivable to us as a mediated experience. In this way, the films give a certain sense to these pictures, a possibility to relate them to our feelings and moral judgements as culturally and politically determined individuals. This circulation of poetic patterns does not merely work in one direction: in the same way fictional genre films incorporate patterns from other media formats, these other formats to a large extent draw on the genre’s poetics of affect when organising their audiovisual material. It is, however, not a new discovery that war coverage in any media is influenced by staging strategies of fictional genre films. But these processes of permeation are commonly condemned as a disingenuous strategy of manipulation that blurs an objective depiction of war by drawing on emotional and ideological values. From our viewpoint, this mutual relation is an integral part of a dynamic process of cultural communication through audiovisual media. To elaborate on this, we will now track down the ways of interaction of the genre’s poetics of affect and non-fictional media by analyzing The War Tapes. It is important to note that we would like to emphasize the dynamic aspect of this process. This analysis is not about identifying mere stereotypical rules or standard motifs, but about processes of interplay, modulation and reformulation of poetic patterns. 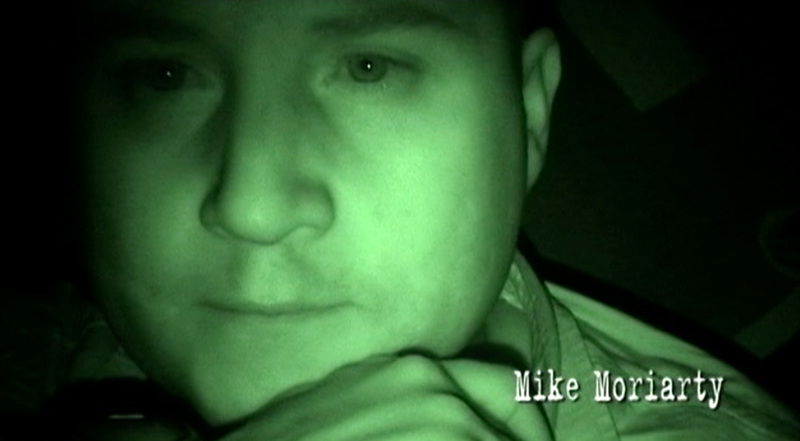 Although the audiovisual footage The War Tapes was shot by several soldiers, three of them become central protagonists in the movie–Steven Pink, Mike Moriarty and Zack Bazzi. Each of them is characterised by a very specific personality. 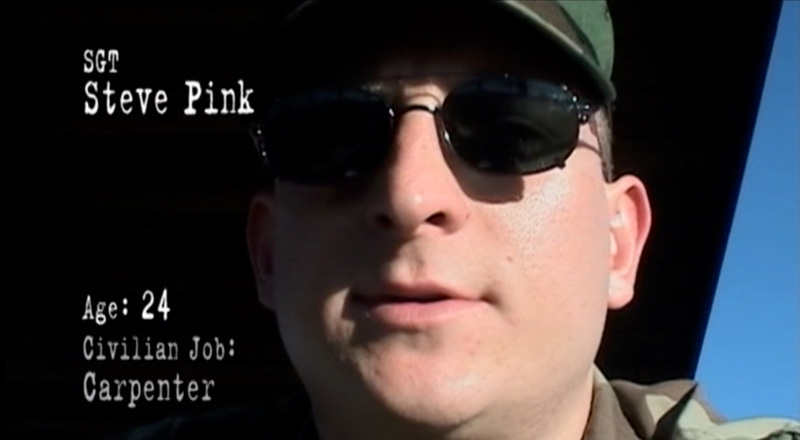 Steve Pink is a talkative carpenter who is interested in journalism, has been studying English and who likes to shoot films and write. Again and again, we see him writing down words that he simultaneously audibly articulates via voice-over. Mike Moriarty is an exemplary patriot; he always places a lot of emphasis on values like family and pride in one’s country. 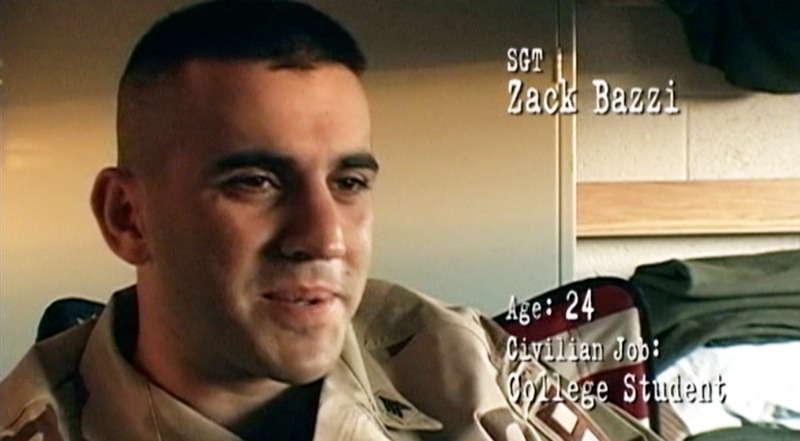 To him, military service is an honourable duty, that–in his case–is associated with the images of 9/11: We see his own recordings of Ground Zero shortly after September 11, 2001, we see his hand touching the dust in the streets and we learn that he deliberately drove there to see “the wound” with his own eyes. Being described as a not particularly educated but thoughtful guy who struggles with depression, he is often shown in dark night shots. Zack Bazzi is a Lebanese immigrant who speaks Arabic and is characterised by a rather pragmatic attitude. Our knowledge about these traits is provided through the characters themselves: we watch them and listen to their voice-overs, coming to know their and their families’ stories. In order to systematically identify how The War Tapes responds to the fictional genre’s poetics of affect it is at first necessary to have a look at how the film organises its material and draws on the categories of pathos we identified. In this regard, the film’s macro structure diagram is surprising. Despite the film’s seemingly authentic approach to war, the macro structure of its poetics of affect shows strong similarities to the typical structure of classic war movies from World War II as seen in the diagram of Gung Ho!. In the beginning, there is a strong appearance of category 1, transition between two social systems (the pain of separation / corporate feeling), and 2, formation of a group body (the loss of ego boundaries (fear) / exaggerated self-esteem), like it is with the classical genre film. The increased appearance of category 5, homeland, women, home (feeling of solace / feeling of loss (homesickness)) in the middle part of the movie is also very classical, and so is the battle sequence with category 3, battle and nature (horror/fear/hostility), and 4, battle and technology (feeling of omnipotence / feeling of powerlessness) in combination with category 6, suffering, victim, sacrifice (agony / grief), in the latter part. Even the return of category 1 in the latter third, with which a reintegration into the civilian society and the moral legitimacy is re-established and can be identified in this case in a very conventional homecoming scene. Then there is an epilogue, which shows the soldiers back home. Going into more detail, the diagram shows that a significant attribute of The War Tapesis the increased appearance of category 5, homeland, women, home. This is surprising considering the fact that discussions surrounding the film almost always centre around the self-made material of the soldiers from Iraq. By examining the particular manner of how these scenes are structured and how they unfold within the dramaturgy of affect over the course of the film, it becomes clear that they follow a specific pattern. The structural configurations of these parts are clearly related to how they organise the central protagonists of the film. The three characters are depicted through portrait scenes which mostly coincide with the sequences that are accounted for the pathos category homeland, women, home. Having a closer look at these passages, it stands out that there is a constant structure. At first, there is a prologue in which all three of the characters are introduced one after the other. After that and throughout the course of the movie there is a separate portrait scene of each of them. However, all three portraits operate within similar principles. At the end of the film, there is an epilogue in which each of the three characters reappears in a prolonged sequence. Even though the structure changes throughout the movie, the length and the characteristics of these personalised scenes stay fairly similar, meaning that the movie creates a certain balance between its three characters. The only exception to this is an additional home sequence of Mike Moriarty at the end of The War Tapeswhich we will return to in later analysis. Another structural principle becomes obvious through the diagram: just before every home sequence (pathos category 5: Feeling of solace / feeling of loss) there is a battle scene with gun fights or a scene in which the viewer is confronted with pictures of burnt or distorted and dead bodies (pathos categories 3: Horror/fear/hostility and 4: Feeling of omnipotence / feeling of powerlessness). How these scenes are related to the always following character portraits is demonstrated in the following clip from the first third of the film. As we can see in the clip, the material’s montage is quite complex. We see a sequence of subjective shots joined together by a flowing montage and partially connected by a voice-over. There are a number of shots which are assigned to one or the other of the characters by displayed text. However, and this is crucial, we can still never be sure to whom the view that is presented to us belongs. In the beginning we accompany Moriarty, which is clearly marked by the text within the image and his voice-over. Then we are shown images of an explosion, and it is no longer clear through whose “camera-eye” we are now looking. This becomes especially striking when in-between shots of the explosion show us a shaky close-up of Pink, which makes it apparent that we are definitely no longer with Moriarty. Then, during the battle, the perspective completely dissolves–all we can see is loud, blurry chaos, in which any sense of orientation has been lost, making the view literally break apart. The affective dimension of the pathos categories 3 and 4 are fully brought to bear here: the use of imagery that is at once overpowering and powerless provokes a disturbing uncertainty, a feeling of being terrified of the dissolution and abundance of one’s (the protagonist’s as well as the spectator’s) individual body. Then, the way of cinematic staging changes completely and the mode of the ‘subject in chaos’ is converted into a much more stable subjectivisation: we suddenly see written lines on paper, hear Pink’s voice, see only his eyes in close-up: a moment of internalisation that creates a subjective space which, for a short period of time, completely binds us to the character of Pink. The unsettling affective quality of the previous battle is transformed into a different modality that brings some order. This transition illustrates the main principle by which the film is structured and composed: the audiovisual perspective it creates through the camcorder material is on the one hand extremely subjective, but on the other hand this perspective does not belong to any specific point of view and cannot be assigned to any specific character as it constantly changes between the three (and potentially others that have no face or name). The three main characters are step by step carved out of this flow, they gain shape through the home portraits until the perspective is literally shattered again. At the same time, they are furnished with more and more attributes, which serves a progressively clear characterisation. If we take a closer look at how Moriarty’s portrait increasingly gains shape within the general flow of the audiovisual imagery, this principle becomes very clear. This next scene, assigned with category 5 of our analytical systematisation, puts us right into a tent–it is dark, we hear a guitar playing and get the impression of a calm, sentimental atmosphere. 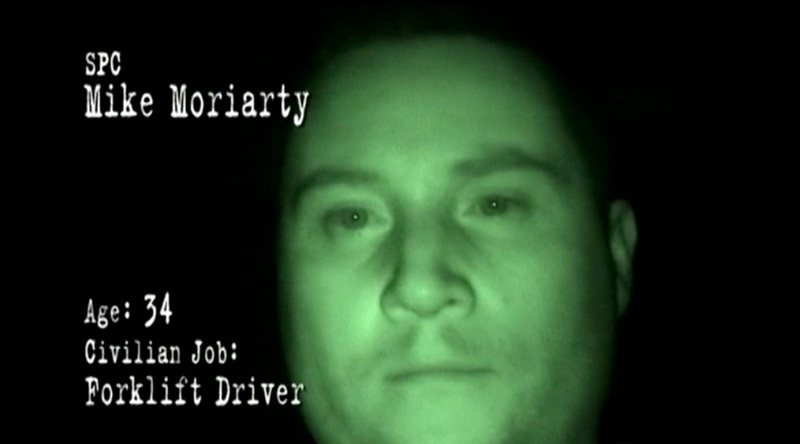 Moriarty is singled out by a close up in green light through night-vision equipment, we listen to him through voice-over, he is talking about his family. 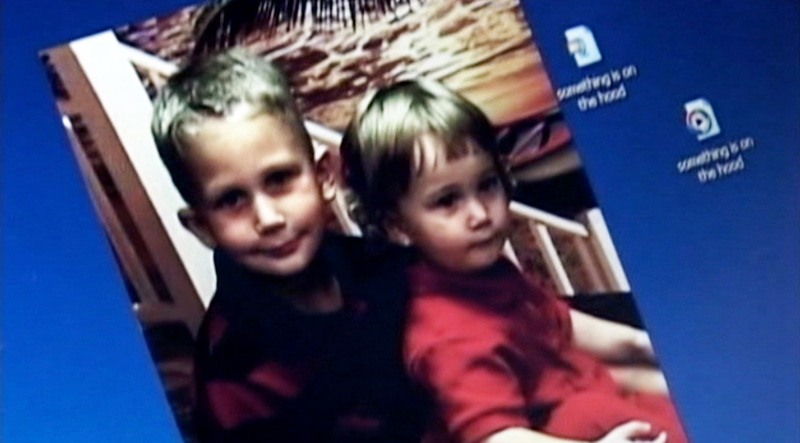 We see a photo of his children on his computer desktop, then his home in full screen as the first picture of a now starting sequence displaying his wife and children back home. In this way, the intense quality and unstable atmosphere of the battle scene is again set in relation to and canalised by a very subjective and personalised mode that can be described as a sort of internalisation, always leading us to the portrait of the person whom we are accompanying. What is interesting about the portrait on the level of narration, like in the other two, is the way Moriarty gathers attributes without being actually present: we learn of his domestic joys, his sense of duty, his suffering from depression, the pride his son takes in his dad. These portrait scenes function as an inverted picture, a photographic negative of the soldiers’ lives and feelings, and serve no other purpose than to assert their status as filmic characters. They frame the images of Iraq in a contrastive manner and thus become a kind of anchor on which the characters crystallise as types. The changing movement, from the unsettling, precarious and uneasy camcorder mode in Iraq to the home portraits that give shape to the characters can be described as the core of the specific dramaturgy of affect of The War Tapes. What is brought to the fore here is the specific affective quality of the Internet images, which we tried to characterise earlier. The overall poetics of affect of the film amplifies the described features of these images: their unclear temporality, the lack of certainty and knowledge, and the expectation of what might come next, the precarious perspective that constantly falls apart but still is always so radically subjective. This mode is even further strengthened by underscoring that the view established here does not refer to an actual event or a concrete person. Instead it gains shape as a specific arrangement of experience that is, through the dramaturgical pattern, related to and equally shared between the three characters and framed by a dramaturgical structure of affective modalities. Thus, the film The War Tapesunfolds and spells out the specific affective quality of Internet videos and at the same time transforms it into a modality of experience that is constitutive for the fictional war film genre. To elaborate on this, we will take a look at another scene. 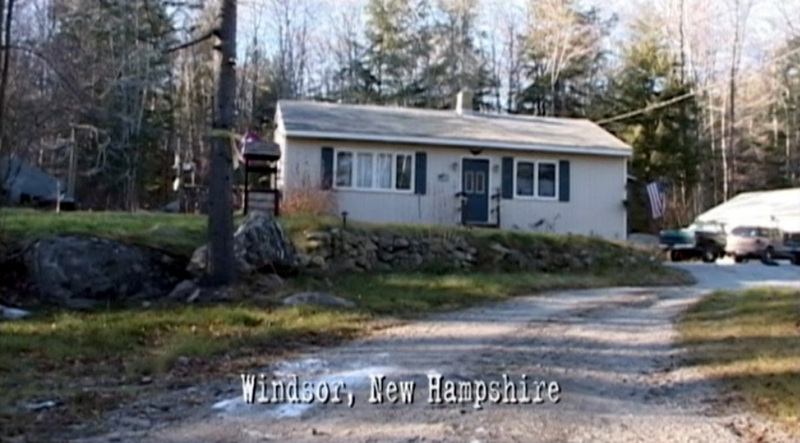 As the diagram shows, there is one exception within the symmetrical structure the film develops regarding its characters: in the film’s last third, there is an additional home portrait of Mike Moriarty. Similar to the other portraits, this scene is preceded by a battle scene (category 3 and 4), but this battle scene is special: it is the scene we know from the film’s very beginning, this time shown more extensively and with all its unsettling force. Throughout the film, the battle scenes have become more and more intense, with images that are increasingly horrific and disturbing, making the horror of war increasingly apparent, and finding a climax in this repeated scene. In this sequence we are confronted with the immediate perceptual experience of the Internet images again, even more intensified by the fact that we recognise the images from the beginning of the film. Before, we only saw charred bodies, but now we experience a soldier being wounded and see the faces of dead Iraqis, killed by the soldiers. This scene is followed by the additional portrait of Moriarty’s home; then, from the internalised view of Moriarty, we are thrown into another disturbing setting: the next scene is about a little girl’s death when she is accidentally run over by the convoy Moriarty is travelling with. The scene takes place at night, shot in a dark, nightmarish way. 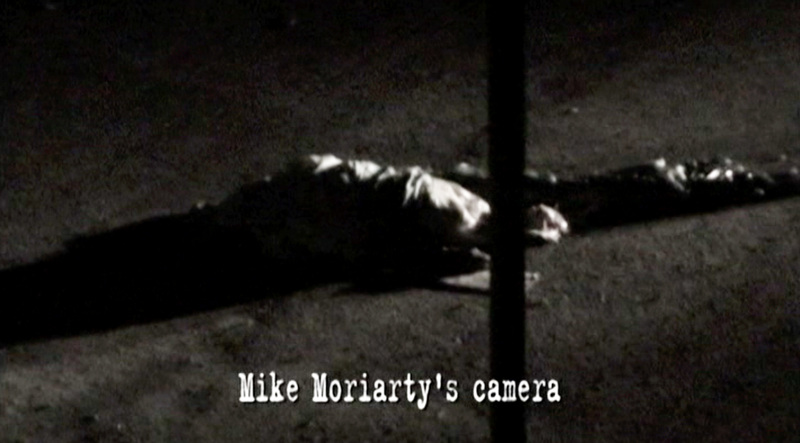 While we hear Moriarty’s voice recounting what happened when the girl was run over, the picture becomes completely dark. For this moment, we just hear the characters’ unsettled and afflicted voices, telling about the worst moment in their lives. Again a moment of internalisation that sets the following sequence into an extremely subjective mode. 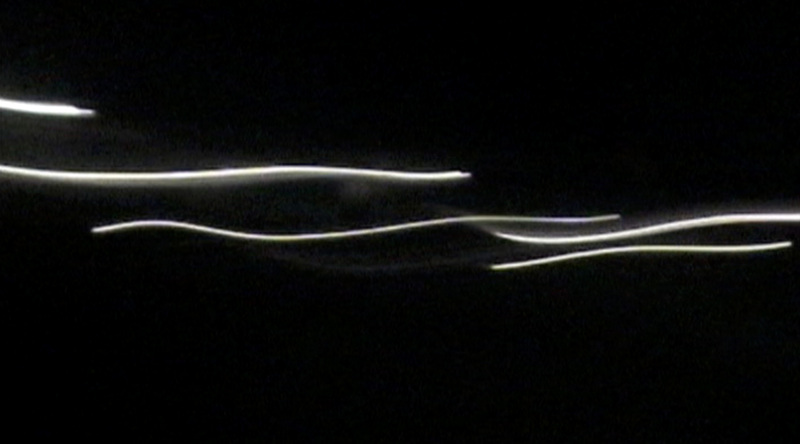 Blurry, pale dark pictures show a street scene at night, the car’s headlights drawing abstract patterns on the screen due to the stammering slow motion. Then, we are shown pictures from Mike Moriarty’s camera, trying to focus on the girl’s body that is hardly recognizable as human. The camera performs some sort of groping movement: it tries to get closer and closer to the body, to make visible what is unimaginable, although the images are not able to reveal anything. They remain vague, shaky and dark and finally blur more and more. Before they fade out, leaving an impression of subtle horror, they are again synced to the characters’ voices, as well as to the soldiers’ close-ups. In this way, these shaky, dark, and horrific pictures are transformed into a mode that does not merely refer to a historical event (we don’t even know when and where this incident happened). Rather, it marks them as a subjective impression of someone suffering and mourning the cruelties of war in a way that we can share and that relates these hardly recognisable pictures to our own senses and feelings. What happens here is that these camcorder pictures are framed in a manner that highly refers to the pathos forms of the war film genre: in the way the pictures are organised, they realise a specific form of our category 6, Suffering, victim, sacrifice, or what Kappelhoff describes as the war film genre’s melodramatic core, the suffering of the individual being confronted with it’s own vulnerability. In this case, the vulnerability is not a bodily one, and neither the loss of a fallen comrade that is mourned. Rather, the individual suffers from its own confrontation with the cruelties of war and the own guilt it has to bear. However, this scene of suffering still gives expression to the central conflict around which the Hollywood war film genre constantly circulates: the contradiction between the striving for individual freedom and happiness as the defining and most valuable goods of this political community, and their loss and sacrifice in favour of war and greater political aims. It is this conflict that the films make accessible to the individual as concrete bodily sensations and a subjective feeling. 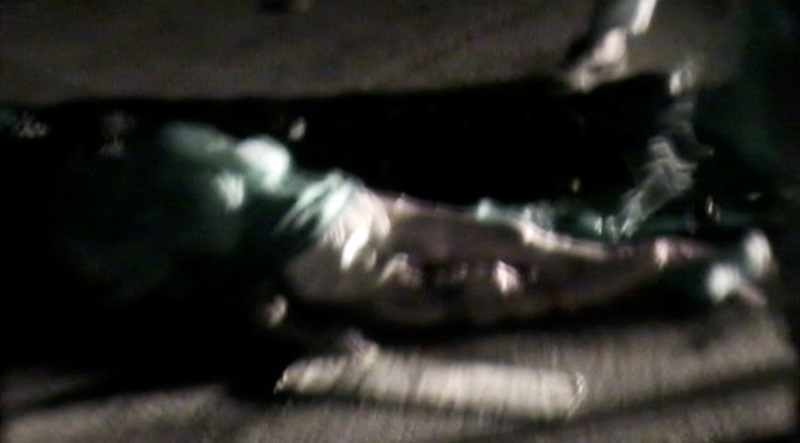 In our example of The War Tapes, the scene of suffering undergoes a specific alteration, caused by the camcorder pictures’ specific aesthetic quality. The camcorder’s groping movements and shaky, blurry pictures are not just technological artefacts that give an authentic impression because they testify that someone was present in this particular historical moment. Rather, they are themselves expressions of someone mourning, someone trying to cope with the situation, to get closer and closer to the unimaginable, horrific truth of this moment, without being able to reach it. The picture material itself, in the way it is organised in time, performs and expresses the movements of someone trying to get a feeling and an understanding of what this incident means to him or her. Hence, there is no empirical truth about the war waiting to be discovered; the only truth that can be revealed here is about the means and specific forms of expression and perception that are used in order to picture this unbelievable incident. They tell something about culturally and historically specific ways of perceiving, communicating and judging the war, giving expression to how an individual, the soldier as well as the spectator, as part of a specific cultural community, perceives, feels and thinks about the war in this particular historical moment, by means of contemporary media technology and traditional staging patterns. Our analytical system of pathos scenes makes this alteration even more graspable. Compared to former war films, the specificity regarding the scene of suffering in The War Tapes is its merging with another realm of pathos that used to appear more distinct (in another category): the modality of horror. Here, the horror is not connected to the appearance of the enemy or a hostile nature anymore, as it is typical for our pathos scene 3, Battle and nature. Instead, it is the personal confrontation with the cruelties of war and one’s own guilt that is inset in this horrific mode of melodramatic suffering. This is not just about the representation of a war crime that the spectator is asked to evaluate rationally; again, it is the audiovisual composition that realises the horror and suffering as a feeling for the spectator. As the analysis has shown, the examination of the poetic patterns that circulate throughout different media formats provides an important keyin order to deal with the enormous amount of audiovisual forms that determine contemporary cultural communication.The War Tapes organises and frames its seemingly authentic audiovisual material in a way that heavily relates to the poetics of the fictional genre on different levels. The genre’s staging patterns are altered by relating them to the new picture material and to the modalities of experience it provides. In this way, these pictures are made accessible to a culturally specific way of experiencing, feeling and judging the war. It is not the authenticity of the raw footage that makes a film like The War Tapes so credible to us. Instead, it is the aesthetic construction that makes no difference between the “real” and the “manipulated”, the “authentic” and the “staged”, but gives us the necessary framing to experience what this war means to us in a specific moment of time or in history. See for example: Howard Tumber and Jerry Palmer, Media at War:The Iraq Crisis (London: SAGE, 2004). See for example: Martin Barker, A ‘Toxic Genre’: The Iraq War Films (London: Pluto Press, 2011). While critiques praised the film for its realistic approach, several military members felt compelled to claim that the depictions of the soldiers’ experiences are not authentic at all. However, this heated discussion shows how public discourse is trapped within the dichotomy of manipulation and authenticity, as we will argue later on in the text. See Julian E. Barnes, Ned Parker and John Horn, “’The Hurt Locker’ Sets Off Conflict,” Los Angeles Times, February 23, 2010. http://articles.latimes.com/2010/feb/25/entertainment/la-et-hurt-locker26-2010feb26. Tribeca Film Festival Film Guide Archive. https://tribecafilm.com/filmguide/archive/512cf49f1c7d76e0460019ca-war-tapes. Hermann Kappelhoff, “Melodrama and war in Hollywood genre cinema,” in After the Tears: Victimhood, Subjectivity and the Melodramatic Mode, ed. Scott Loren and Jörg Metelmann (Amsterdam: Amsterdam University Press, in press). See also Hermann Kappelhoff, “Der Krieg im Spiegel des Genrekinos. John Fords They Were Expendable”, in Mobilisierung der Sinne. Der Hollywood-Kriegsfilm zwischen Genrekino und Historie, ed. Hermann Kappelhoff, David Gaertner and Cilli Pogodda, (Berlin: Vorwerk 8, 2013), 184-227. Hermann Kappelhoff, “Affektmobilisierung und mediale Kriegsinszenierung,“ in Sprachen der Emotion. Kultur, Kunst, Gesellschaft, ed. Gunter Gebauer and Markus Edler (Frankfurt: Campus Verlag, 2014), 245-266. This understanding is founded on the neophenomenological film theory of Vivian Sobchack as well as Gilles Deleuze’s description of affect as the ability to affect and be affected, as a prepersonal intensity of becoming. See Vivian Sobchack, The Address of the Eye: A Phenomenology of Film Experience (Princeton, NJ: Princeton University Press, 1991). See also Brian Massumi, foreword to Gilles Deleuze and Félix Guattari, A Thousand Plateaus: Capitalism and Schizophrenia (Minneapolis: University of Minnesota Press, 1987), XVI. Christine Gledhill, “Rethinking Genre”, in Reinventing Film Studies, ed.Christine Gledhill and Linda Williams (London: Arnold, 2001), 223. Matthias Grotkopp and Hermann Kappelhoff, “Film Genre and Modality. The Incestuous Nature of Genre Exemplified by the War Film,” in In Praise of Cinematic Bastardy, ed.Sébastien Lefait and Philippe Ortoli (Newcastle upon Tyne: Cambridge Scholars Publishing, 2012), 29-39. Hermann Kappelhoff and Jan-Hendrik Bakels, “Das Zuschauergefühl – Möglichkeiten qualitativer Medienanalyse,” Zeitschrift für Medienwissenschaft 5, 2 (2011): 78-96. Hermann Kappelhoff, Matthias Grotkopp and Michael Lück have extensively outlined the theoretical backgrounds and historical developments of such an understanding of genre during their lecture series “Genre und Gemeinsinn” held at Freie Universität Berlin in the years 2013 and 2014. This research approach has been developed and conceptualised in the research project Mobilization of Emotions in War Films (2008 – 2011) within the Cluster of Excellence “Languages of Emotion” at Freie Universität Berlin and its follow-up project Staging images of war as a mediated experience of community (2011-2015), under the direction of Hermann Kappelhoff and funded by the German Research Foundation. For detailed information, see: http://www.empirische-medienaesthetik.fu-berlin.de/en/affektmobilisierung/index.html. Several studies have shown that non-fictional war reporting and the fictional war film genre have always been closely intertwined, on the level of production economics as well as of aesthetics. See for example David Gaertner’s work about the relation of film and Newsreel production and aesthetics in the Hollywood studio system during WWII: David Gaertner, “Mit allen Mitteln. Hollywoods Propagandafilme am Beispiel von Frank Capras why we fight-Reihe,” in Mobilisierung der Sinne. Der Hollywood-Kriegsfilm zwischen Genrekino und Historie, ed. Hermann Kappelhoff, David Gaertner and Cilli Pogodda, (Berlin: Vorwerk 8, 2013), 307-344. Cilli Pogodda is a research associate in the DFG project “Staging Images of War as a Mediated Experience of Community” and assistant lecturer at the Seminar of Film Studies of Freie Universität Berlin. She is currently working on a dissertation project with the topic “Media Technology, Aesthetics and Affect in Media Representations of the Iraq War”. Her main research interests are genre cinema, media aesthetics as well as cinematic corporeality and affectivity. Danny Gronmaier is a research associate in the DFG project “Staging Images of War as a Mediated Experience of Community” and assistant lecturer at the Seminar of Film Studies of Freie Universität Berlin. He is currently working on a dissertation project about the aesthetic historicity of Hollywood sports films. His main research interests are, amongst others, the relation of film and history, affect theory, the medialisation of sports, and genre studies. Barker, Martin. A ‘Toxic Genre’: The Iraq War Films. London: Pluto Press, 2011. Deleuze, Gilles and Félix Guattari. A Thousand Plateaus: Capitalism and Schizophrenia. Minneapolis: University of Minnesota Press, 1987, XVI. Gledhill, Christine. “Rethinking Genre.” In Reinventing Film Studies, edited by Christine Gledhill and Linda Williams, 221-243. London: Arnold, 2001. Gaertner, David. “Mit allen Mitteln. Hollywoods Propagandafilme am Beispiel von Frank Capras Why We Fight-Reihe.” In Mobilisierung der Sinne: Der Hollywood-Kriegsfilm zwischen Genrekino und Historie, edited by Hermann Kappelhoff, David Gaertner and Cilli Pogodda, 307-344. Berlin: Vorwerk 8, 2013. Grotkopp, Matthias and Hermann Kappelhoff. “Film Genre and Modality. The Incestuous Nature of Genre Exemplified by the War Film.” In In Praise of Cinematic Bastardy, edited by Sébastien Lefait and Philippe Ortoli, 29-39. Newcastle upon Tyne: Cambridge Scholars Publishing, 2012. Kappelhoff, Hermann. “Melodrama and War in Hollywood Genre Cinema.” In After the Tears: Victimhood, Subjectivity and the Melodramatic Mode, edited by Scott Loren and Jörg Metelmann. Amsterdam: Amsterdam University Press (in press). —— The Politics and Poetics of Cinematic Realism. New York, NY: Columbia University Press, 2015. ——“Affektmobilisierung und mediale Kriegsinszenierung.“ In Sprachen der Emotion: Kultur, Kunst, Gesellschaft, edited by Gunter Gebauer and Markus Edler, 245-266. Frankfurt: Campus Verlag, 2014. ——“Der Krieg im Spiegel des Genrekinos: John Fords They Were Expendable.” In Mobilisierung der Sinne. Der Hollywood-Kriegsfilm zwischen Genrekino und Historie, edited by Hermann Kappelhoff, David Gaertner and Cilli Pogodda, 184-227. Berlin: Vorwerk 8, 2013. Kappelhoff, Hermann and Jan-Hendrik Bakels. “Das Zuschauergefühl – Möglichkeiten qualitativer Medienanalyse.” Zeitschrift für Medienwissenschaft 5, 2 (2011): 78-96. Sobchack, Vivian. The Address of the Eye: A Phenomenology of Film Experience. Princeton, NJ: Princeton University Press, 1991. Tumber, Howard and Jerry Palmer. Media at War: The Iraq Crisis. London: SAGE, 2004. Green Zone (Paul Greengrass, 2010). In the Valley of Elah (Paul Haggis, 2007). The Hurt Locker (Kathryn Bigelow, 2008). The War Tapes (Deborah Scranton, 2006).